Get our your motion controllers and your headsets; it’s time to go fishing. 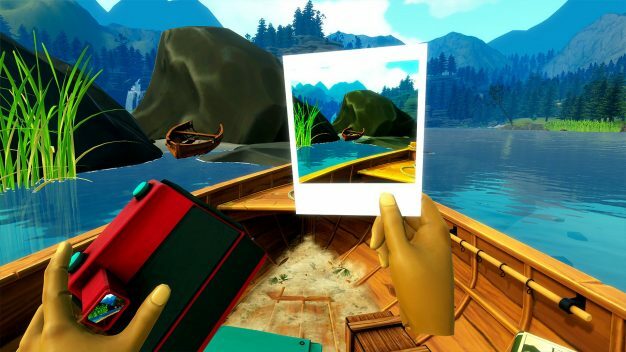 Specifically, it’s time to go fishing in VR with Catch & Release, a game for the Oculus Rift and HTC Vive that dropped today. It’s the first VR project for METRICMINDS, a company that focuses on animation for video games. Even if you haven’t heard of them, you’ve seen their work in games like Horizon: Zero Dawn and Dying Light to name just a couple. Rather than a realistic simulation, Catch & Release is meant to be peaceful and welcoming. METRICMINDS has put a lot of work into making the setting look beautiful; it’s a serene place, but still full of details. The gameplay can be described in a similar way: while peaceful free fishing is main attraction, there are challenges and other features to keep you busy. This includes different equipment for your outing and secrets to discover.